As I mentioned before, I recently made a visit down to Panama in Central America. It's an interesting city, and a great one to photograph. My primary destination for shooting while in the area was their Old Town known as Casco Viejo. 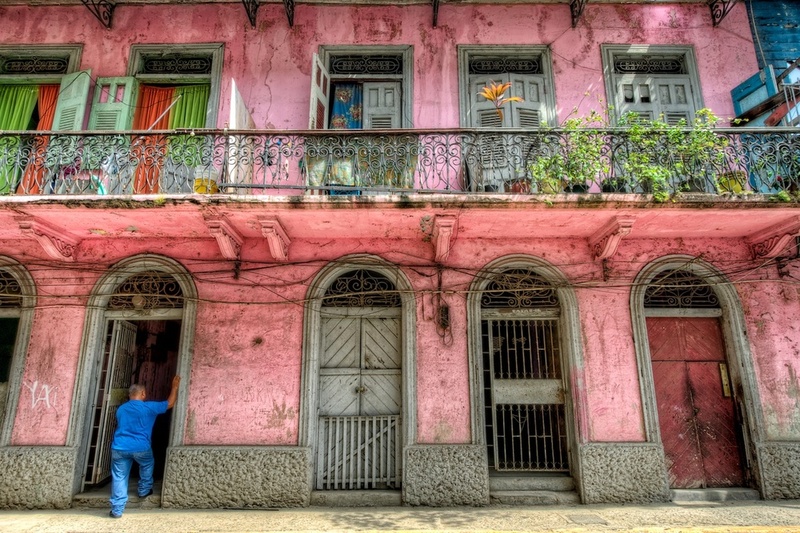 Casco Viejo is undergoing a massive transformation. The old, weary, dilapidated buildings such as the one featured in this photo are being demolished or resurfaced and made shiny and new. They are keeping that same Spanish Colonial architectural look, but with a facelift. While I like that look, I also enjoy shooting old beat up things such as this building facade. There is just so much character here, from the scratched up texture on the walls, to the broken railings, to the wires running this way and that. Throw in some interesting and bright colors and it's a scene that really caught my attention.